4 days left till our big Nightmare Before Christmas Ugly Sweater Party. Karma is all decked out for this. 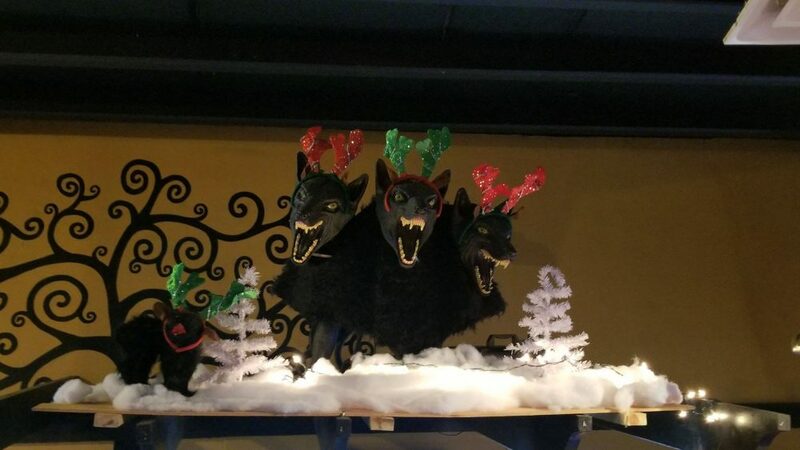 All our Halloweee….I mean Christmas decorations are up and the fun is set to go. What costume are you wearing. There is no right or wrong. Wear what ever you want…just make sure you are wearing an ugly sweater. 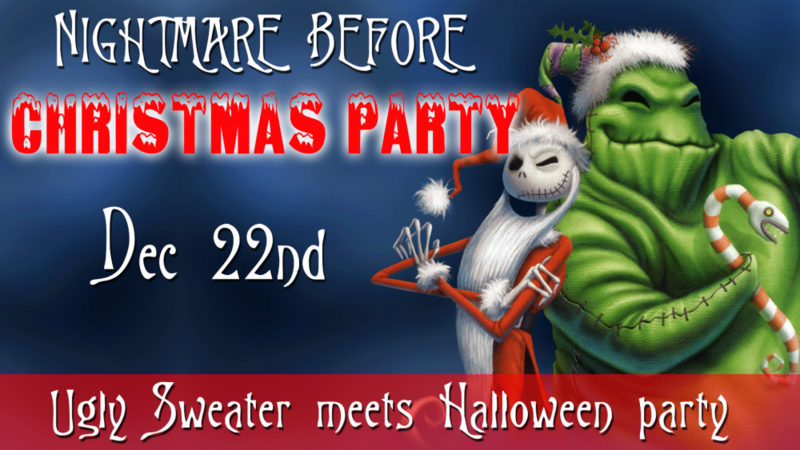 We love Halloween so much we are hosting a Nightmare before Christmas theme Ugly Sweater party. Come dress normal or come dressed up for Halloween. Just come dressed for the holidays as such. 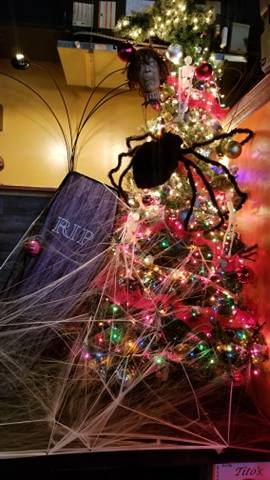 Karma will be all decked out in Halloween decorations with the added festive Christmas spirit. 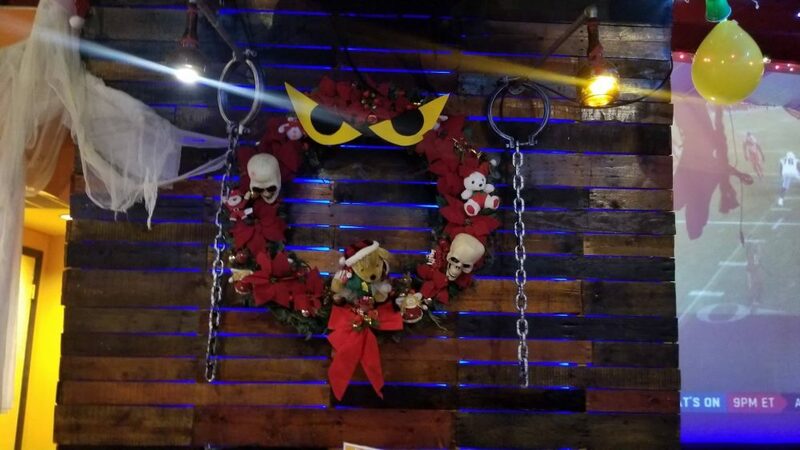 We go all out on the decorations to make if a fun time. 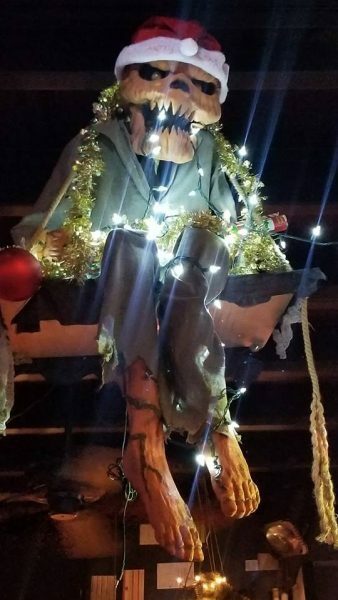 Last years Whoville decorations were a hit when we celebrate Grinchmas.